Here is our take on a snack that is popular around the globe! 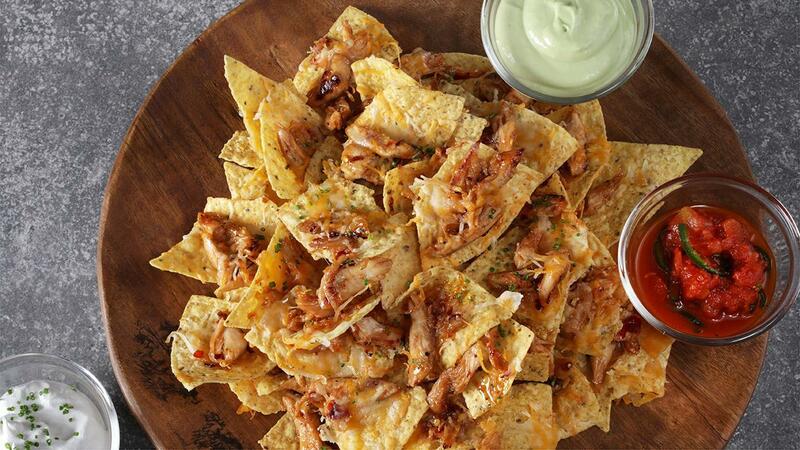 Firecracker Chicken Nachos, as you might have guessed, add a spicy twist by means of a sweet, tangy and fiery sauce for the chicken. Traditional condiments and melted cheese on the side as is customary for all nachos. Try our recipe below! Remove chicken and set aside to rest before shredding chicken for the dish. Combine all ingredients in a sauce pan and melt together over medium heat. Toss in the shredded chicken pieces. Arrange the nachos on a platter, spread the firecracker chicken pieces randomly and finish off with cheddar cheese before gratinating the dish.